Peter Maurin was co-founder of the Catholic Worker movement. Born into a peasant family in southern France in 1877, at sixteen he entered the Christian Brothers, a teaching order which stressed simplicity of life, piety, and service to the poor. In 1909, he emigrated to Canada and for two years homesteaded in Saskatchewan. After the effort failed, he took work first in Canada, then in the United States: digging ditches, quarrying stone, harvesting wheat, cutting lumber, laying track, working in brickyards and steel mills and coal mines. He traded French lessons for necessities and was jailed for vagrancy and for riding the rails. Through his years of reflection and hard labor, Maurin came to embrace poverty as a gift from God. His unencumbered life offered time for study and prayer, out of which a vision took form based on the values of the Gospel. 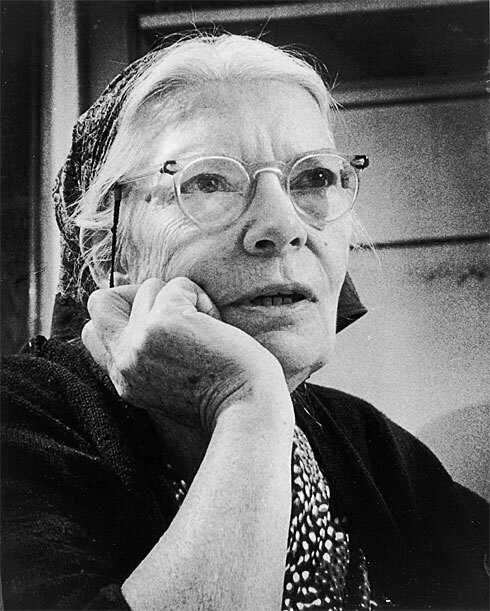 A born teacher, George Shuster, editor of Commonweal magazine, gave him the address of Dorothy Day. Maurin introduced himself to her in December 1932. Day quickly came to regard him as someone who could help her work toward developing a response to the needs of the poor during the Great Depression. Together they published The Catholic Worker on May 1, 1933. Maurin thought protest would do little to bring about real change; he advocated working for what he called the green revolution. There is no unemployment on the land, Maurin often stated…the Catholic Worker should stand for artisans and craftsmen in worker-owned cottage industries and agricultural communities. Day gradually became more open to his vision of society. Catholic Workers took up his call to start Catholic Worker farms. Other farms were set up, houses of hospitality on the land. In 1944, following what appeared to be a minor stroke, Maurin slowly began losing his memory. His last five years were lived quietly and humbly at the Catholic Worker’s Maryfarm Retreat Center near Newburgh. His death in 1949 was reported by The New York Times and the Vatican newspaper, L’Osservatore Romano. Time magazine noted that Maurin was buried in a castoff suit and consigned to a donated grave, appropriate arrangements for a man who had slept in no bed of his own and worn no suit that someone had not given away.